The Toyota Coaster is a single decker minibus range that was launched back in 1969 by the Japanese manufacturer. Currently on its fourth generation, the range is also known under the Hino Liesse II nameplate. Thanks to the Toyota badge, the range comes with a reputation for reliability. As for the interior, the range boasts a twenty-one seat capacity with enough room so that every passenger enjoys their journey. The excellent space offered is fitted with comfortable, quality materials that both driver and passengers can appreciate. Available with powerful diesel engines, it's the 4-cylinder diesel motor that is the favourite choice. 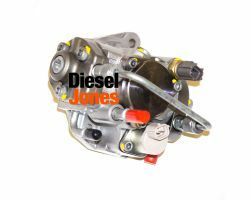 This diesel engine delivers a strong, smooth performance that results in an efficient driving experience. In all, the Toyota Coaster is a range that offers an incredibly spacious interior, strong diesel engines and is ideal for transporting large groups.